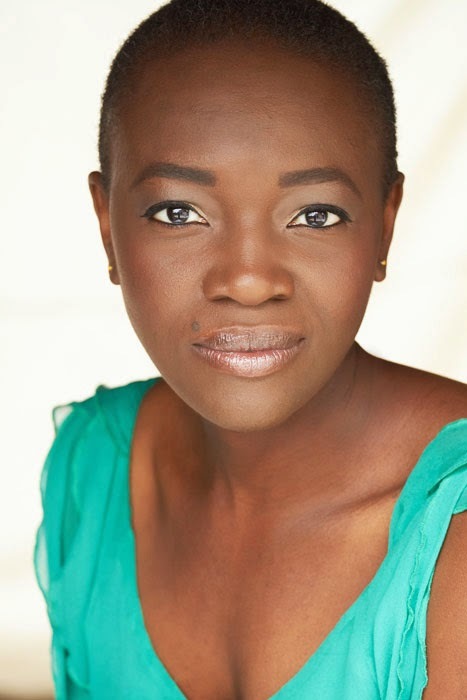 Producer-Filmmaker-Actor Constance Ejuma who was born in Cameroon and grew up in the United States, talks about her film projects and crowdfunding campaign; as well as her identity and telling the story of where she came from. Constance, you are one of the producers of the film Ben & Ara, which touches on issues that are not often visible in the media. You also play the role of Ara. Please talk a bit about the film and what motivated you to focus on this topic? Ben & Ara is about two people from different worlds who have a passion-ate love affair, which eventually falls apart. From this perspective, it isn’t an unusual story. What does make it unconventional is the pairing of an African Muslim woman and an agnostic American man who meet in an academic setting and immediately have a strong intellectual connection which flowers into a physical attraction. Over the years we’ve seen a few faith-based films crop up, but I’ve yet to see one about an African woman practicing Islam in a social environment where people are more often than not disenchanted by or uninterested in religion and spirituality. The fact that a woman of strong faith and a man who has doubts about the existence of God end up falling in love is something I find intriguing. The story came about in an interesting way. The writer, Joseph Baird, kicked around this idea of an African American woman who has a secret affair with a white agnostic man she meets at the university she attends. Joe wrote a scene based on this, we made a short and we figured that was that. But Joe kept getting positive feedback from people who watched it, which was encouraging enough for him to write a screenplay. After a year or so of story development we ended up with a really good script. The choice to make Ara an African Muslim was fairly easy; it’s in-line with my own background and we wanted to create as much authenticity between myself and the character as possible. 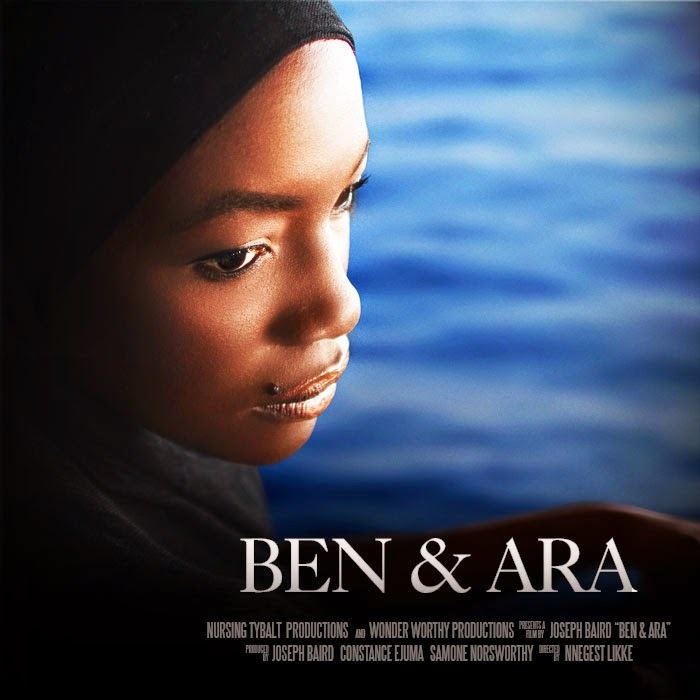 The film Ben & Ara is directed by Nnegest Likke (of African-American and Ethiopian parentage). Could you discuss how she came on board as director of the film, your producer-director relationship, what it was like to work with her. There were a couple of people we had in mind to direct Ben & Ara, but for me Nnegest was the best fit. She wrote and directed Phat Girlz which was successfully distributed by a major studio. She was also familiar with the subject matter of our film and it certainly doesn’t hurt that she has an African background. Drawing from her own experience as a writer, her goal was always to stay true to Joe’s intentions while figuring out the most authentic way to execute on those intentions with the limited resources we had. Working with her bolstered my confidence as an actor, especially since I had the added pressure of being a producer. I felt like she was always thinking ahead, trying to catch blind spots and constantly working to capture gems that would enhance this art-house feel we were going for. She was relentless in her efforts to make this a great film in spite of the challenges we faced, which is something I truly admire about her. By the very positive response to the crowdfunding campaign there appears to be a keen interest in the film. How did the campaign evolve? What was the process, and what are the next steps toward completion of the film? The most difficult part about our crowdfunding campaign was coming up with a number. How much would our entire film budget be? How much could we realistically raise? How much of a risk were we willing to take by choosing Kickstarter over a different platform? Once we came up with answers for these crucial questions, putting up a Kickstarter page was fairly straightforward. I was surprised by how receptive people were, to be honest. While we expected that people we know would help us out, we weren’t prepared for how overwhelmingly supportive they would be. A huge amount of the money we raised came from our families. I even had relatives from Cameroon donating to the cause. It was a humbling experience. I think the reason for the positive reception is two-fold. One reason is that Ben & Ara is a love story, which makes it relatable and universal. I think there is something about the story that touches people and captures their imaginations. The other reason is that this film is a tangible thing that people who support us could get behind. Joe and I have spent many years in Los Angeles pursuing acting careers, and though we’ve been doing all the things that actors here do to move their careers forward, it’s really difficult to convince people back home that you’re making progress when they don’t see you on TV on a regular basis. The excitement around the prospect of seeing us on the big screen was also a motivating factor for our families and friends. We’ve made some really good progress so far. We just wrapped production in October and we’re going into post. We’re also going to launch another crowdfunding campaign to raise funds for postproduction but for now we encourage people to donate on the website: www.benandara.com. We would have loved for the money we raised last year to cover the entire production but stretching it that far was literally impossible. However, waiting to raise our entire budget before shooting the film was never an option we wanted to pursue. We didn’t want to lose momentum and I think the choice to move forward in spite of our limited resources will pay off. You are also working on a documentary film project called “Don’t Forget Me” about a woman in the diaspora finding her roots. Is this autobiographical? Who is making this request? To whom is it being addressed? Yes, “Don’t Forget Me” is autobiographical but it’s still a work in progress. It came about as a result of curiosity. I was born in Cameroon but I grew up in the United States. I’ve been fortunate enough to be able to maintain strong ties with my place of birth and its culture. But when I finished college, I started wondering about my tribe. Who are these people and what are they about? I took a trip to Cameroon, visited some villages and asked a bunch of questions. I had no idea what I was doing. More recently, my curious gaze has been directed towards my grandmother, whom I felt I knew nothing about. I figured, if I, her oldest grandchild, didn’t know her story, it’s very likely that the rest of her grandchildren were equally ignorant. Because I made it my job to satisfy a curiosity and document her story, the request is self-generated. But the most startling discovery for me was the complete disconnect between my generation and hers within my family, and how little effort is being made to bridge that gap. So I guess I’m addressing members of my generation who fail to see the value of their heritage. A recurring theme by filmmakers of the “neo-African Diaspora” in the the United States, is their connection to Africa, the return to Africa. Could you give some reflections on this tendency, its manifestations, and its reception by Africans on the continent? I can’t speak for the neo-African diaspora at large but from my own experience, I’ve never had qualms about taking ownership and having pride in my identity as an African. It’s true that I came to America as a child and completely assimilated myself in the culture; so much so that when I’d visit Cameroon relatives would mock me for “rapping” because they couldn’t understand my “American English.” But when I moved to America, I was surrounded by Africans. There’s a huge African population in Maryland where I grew up, and I was constantly immersed in the aspects of the culture, which migrated along with them. So I’m not entirely sure I can categorize myself as someone who’s aspiring towards a return to Africa because I don’t think I ever completely left. Africa is in me; it is an aspect of my identity as a human being, which I acknowledge and embrace. But I also have an identity as an American, as a woman, as an artist. My focus isn’t so much on a return to Africa but an expression of what’s African about me. Making “Don’t Forget Me” is one manifestation of a desire to express myself and tell the story of where I come from. This effort has been well received, especially by my family in Cameroon. I think for the most part, Africans on the continent have a perception that those of us who left eventually lose interest in African culture. While this is certainly true for some, I’ve encountered many in the diaspora who are far more interested and connected to African culture than some youths I’ve met on the continent. People on the continent get very excited when they make this startling discovery. Interview with Constance Ejuma by Beti Ellerson, November 2014.